Like many other nations in World War 2, Ireland organised itself to defend the country against foreign invasion (although they were not sure who was going to invade – Britain or Germany). As a relatively new organisation with an active membership, An Óige was keen to be of service. When a call was put out for young people to join, a group of An Óige cyclists formed the An Óige (42nd) Squadron. 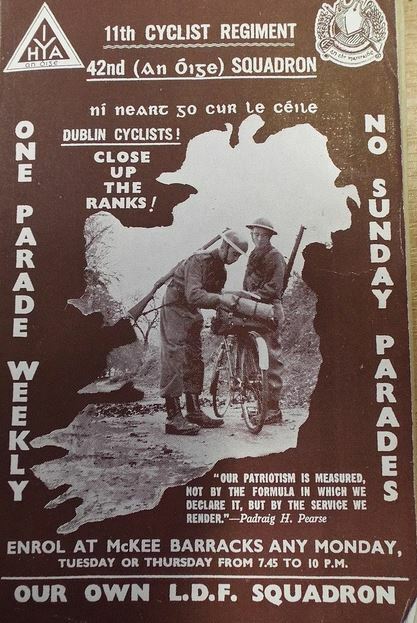 They came together with other Dublin cycling clubs and an Irish speaking group to form the 11th Cyclist Regiment in the Local Defence Forces. 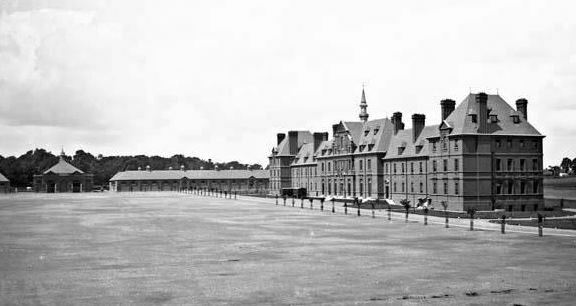 They met twice a week at McKee Barracks for training. Their weapons of choice were rifle, bayonet and grenade. After the war, the Local Defence Forces became the F.C.A and the regiment became the 11th Cavalry Squadron. They carried on training and up until 2005 they held twice yearly amoured car shoots. They then became the 62nd Reserve Cavalry Squadron. Since 2013 they have been attached to the 2nd Cavalry Squadron in the Permanent Defence Forces. Not bad for a bunch of hostel pedalheads. If you would like to discover more about the history of An Óige, please subscribe to our monthly newsletter.